Dr. Kowalkowski is one of less than 100 physicians across the country with his specific training and credentials in pain medicine. He is dedicated to the diagnosis of acute and chronic pain conditions of complex musculoskeletal, orthopedic, and neurological problems pertaining to pain medicine. Dr. Kowalkowski is committed to providing you with the best possible care using an individualized approach. The practice focuses on interventional pain medicine using state of the art technology in the treatment of pain. A graduate of Wayne State University Medical School in Detroit, Michigan. 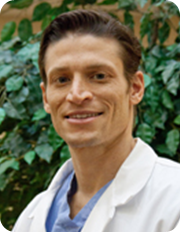 He completed his Anesthesiology residency at John Hopkins Hospital in Baltimore, Maryland and completed his Pain Management fellowship at John Hopkins Hospital. Dr. Henry has extensive training in Interventional Pain Management including spinal cord stimulation and spinal infusion technology. Dr. Henry practiced pain management in Las Vegas, Nevada for nearly 3 years. 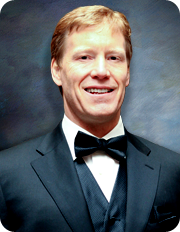 He is board certified in Anesthesia with subspecialty certification in Pain Management. Dr. Henry founded Illinois Regional Pain Institute, S.C. in April 2006 in Peoria, Illinois.